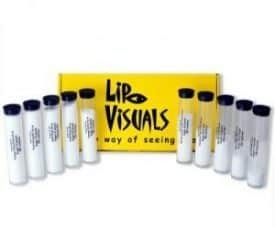 Sugar-Visuals Drink 10 Pack nutritional teaching test tubes display the amount of sugar found in many popular drinks from energy drinks, sports drinks, frozen coffee drinks, flavored tea, and much more. Hidden sugars and excess sugars in drinks/beverages are often uncounted and perhaps the biggest contributor to sugars in the American diet today. Each Sugar-Visuals Drink tube reveals real-time information on the exact amount of sugar contained in an actual serving size of the most commonly consumed beverages. Two 20 ounce colas a day have 134 grams of sugar, 486 calories and provide over 4 times the recommended daily allowance of added sugar. No need to preach about sugar when you can show them using Sugar-Visuals Drink nutritional test tubes. 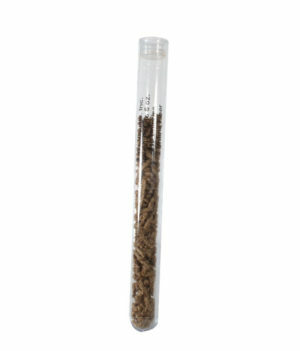 Teach “A New Way of Seeing Food” by using Sugar-Visuals nutritional teaching test tubes. Added sugars in drinks are one of the major factors leading to obesity, diabetes and heart disease in the world. The concept of how much sugar is too much can easily be conveyed using Sugar-Visuals Drink nutritional test tubes. Smoothies can be healthy or packed with sugar. The average 20 oz fruit smoothie contains 70 grams of sugar. Teach them how much sugar is in what they are drinking with Sugar-Visuals Drink teaching test tubes. Sugar-Visuals Drinks 10 pack kit for teaching about sugar in foods is by far the one of the best ways to help people make positive changes in the way they eat and take control of their health. They are the best Sugar Visuals nutritional teaching tubes available today.